VH-NHA. Fokker F28-0100. c/n 11490. This aircraft was ordered new by American Airlines - ? Operated final revenue service - ? Alliance Airlines announces that it is purchasing the entire Austrian Airlines fleet of Fokker 100 aircraft - ? VH-NHA. 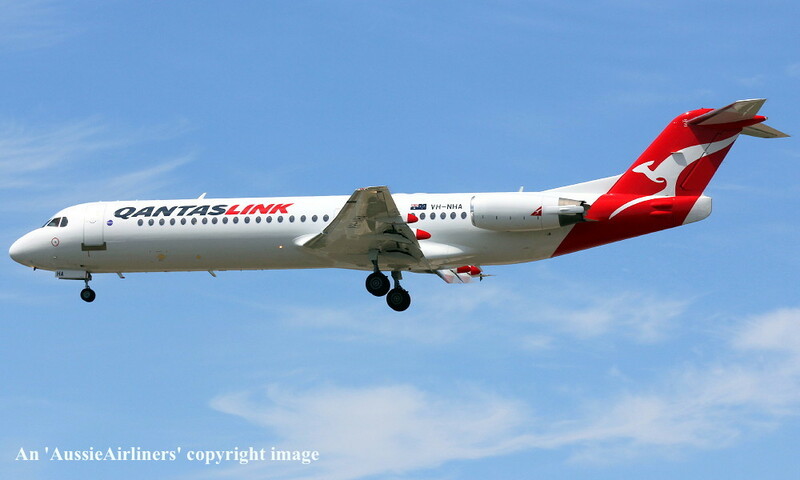 QantasLink - in the standard livery at Perth Airport, March 08, 2017.